I finally replaced my Galaxy S3 in April after almost 3 years of service. It had begun to show signs of aging for a while, and I had managed to extend its usability for a few months by flashing Cyanogenmod on it last year. The gadetitis relapse hit me in March this year and I began scouting for my next Android phone in March. After lots of debate, it boiled down to the 64 GB versions OnePlus One and the Xiaomi Mi 4, and the Mi fan festival ensured that price was not going to be a factor when choosing between the two. In the end, the smaller form factor and IR port of the Mi 4 won and I even ended up renewing my Flipkart First subscription to get the phone in a day. 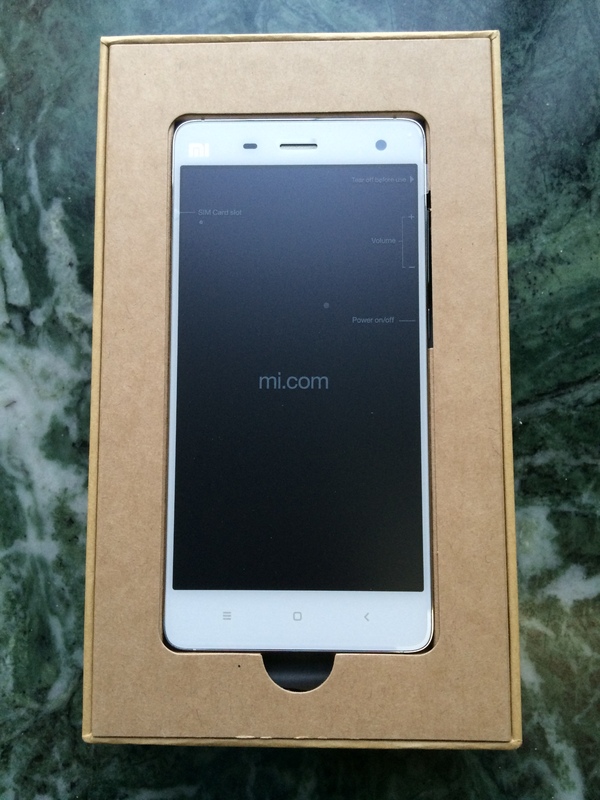 In terms of build quality, the Mi 4 has a very premium feel to it with its steel frame and from the front it has a striking resemblance to the iPhone 5\5s. The back though is a lot more mundane plastic, but there is a faint pattern visible under direct lighting. When it comes to the specs, it is pretty much a Nexus 5 in a prettier package. While it is missing NFC, it does have an IR port that can let you control TVs, ACs etc. The camera, while pretty decent, pales in comparison to the iPhone 5s that I also own. Colours can turn out a bit oversaturated in shots and the video stabilization has its own issues resulting in jitters if you pan around quickly with shaky hands. I also discovered that the Carousel app from Dropbox can prevent you from shooting videos if you enable the camera overlay option in that app. I missed quite a few video opportunities before I was finally resolved the issue. The on board storage of 64 GB for the price is the real icing on the cake, and this makes a difference over SD card slots when you have a huge library of games like I do thanks to the Humble Mobile Bundle sales. The 2014 flagship class specs comprising of a full HD display powered by the SnapDragon 801 ensure that games fly on the device. It is definitely a lot faster than my iPad mini that’s based on the aging A5 platform. I haven’t faced any heating issues with the phone so far, and the only time it heats up is when the signal is weak or while charging a severely depleted battery. On the software front, MIUI also adds a touch of iOS-ness to the usability with some of its design philosophies and then some. Though it’s based on KitKat (without ART support at that), there are also a lot of thoughtful additions that MIUI brings that has kept me from switching to the Google launcher and making Google Now a first citizen. Lack of Lollipop is a bit of a downer, but ART brings its own set of compatibility issues with many games, and I’m quite happy with the phone’s performance and usability for the time being. The missing NFC hasn’t bothered me much so far, and it was a rarely used feature of my Galaxy S3 as well. However, with Android Pay around the corner, NFC is bound to become a must have feature. That said, it will be at least a year or two before there’s any significant penetration of the service, and that always leaves room for a phone upgrade. Battery life has also been quite good for me and it easily lasts a day even with some gaming and maps usage. During days of lighter usage, it even manages to stretch to 2 days. In fact, it easily beats my iPhone 5s in the battery life department and I can rely on it to get me through a busy day unlike the iPhone. Overnight discharge is also minimal – around 5-6%, while charging is also quite fast and I can get through a day by charging the phone for an hour in the morning. Overall, I’m quite happy with the phone and don’t find any compromise or downgrade unlike some of my earlier purchases. It represents one of the best value devices on the market currently, though the Mi 4i is arguably better value if you’re not too fussed about metallic builds and IR ports.